Spring is in the air and there is no better time to start planning your yoga festival calendar for 2019! We’ve rounded up some of our favorites – both near and far – so you can start gearing up for your most exciting year yet! 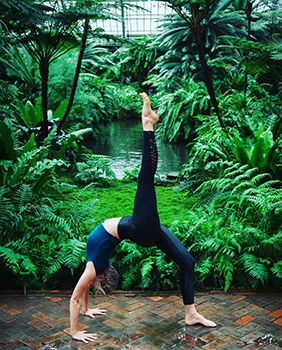 Spring Awakening combines four conscious activities–yoga, fitness, meditation, and a mindful social – in the heart of downtown Chicago. Concert meets ritual in this multi-level experience which incorporates elements of meditation, sound healing, and live music. Join hundreds in an evening of Mind | Body connection. Following all classes, enjoy a Mindful Market Mingle with sips & snacks, retail, & healing! Website. Enter promo code MYAREAYOGA for 30% off all tickets! Join Shakti Fest in their beautiful new location at the Joshua Tree Lake Campground! With an incredible line-up of sacred music, yoga and conscious workshops in the sacred high desert setting of Joshua Tree. Practice with premier yoga teachers, groove with award-winning sacred music artists and dive deep with world renowned spiritual teachers including Jai Uttal, Shiva Rea, MC Yogi, Donna De Lory, Saul David Raye, Dawn Cartwright, Fannah Fi Allah, Larisa Stowe and many more! Website. 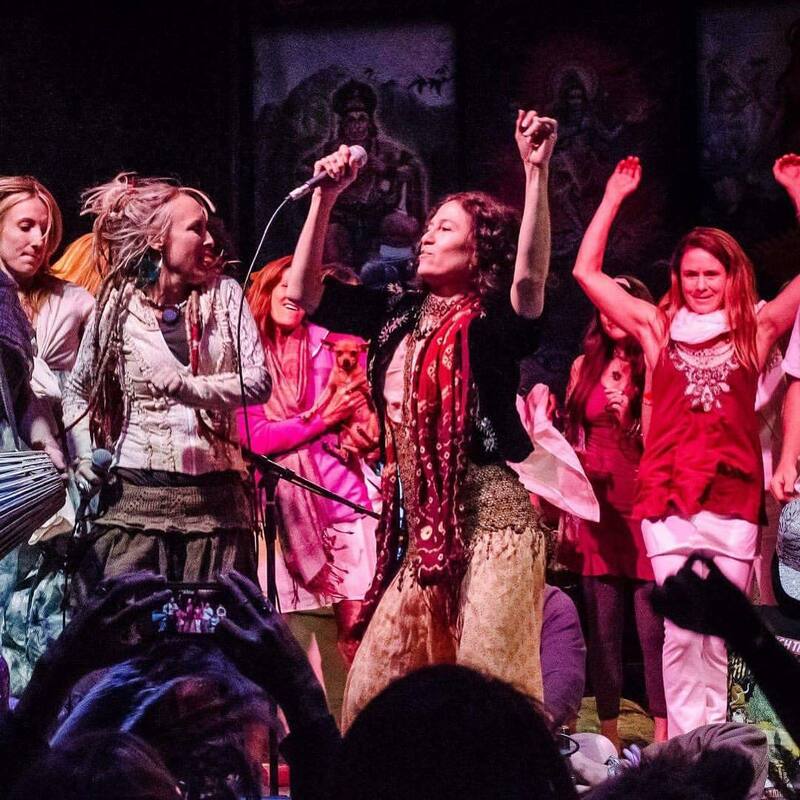 Bring Your Tribe to Shakti Fest & Save. 5 full festival passes, AND one car camping pass for only $1000. Must be purchased as a block. Yoga + Social with DJ DREZ & Wade Gotwals & special guests Live Better. Website. More details coming soon! Enter promo code MYAREAYOGA for 30% off all tickets! 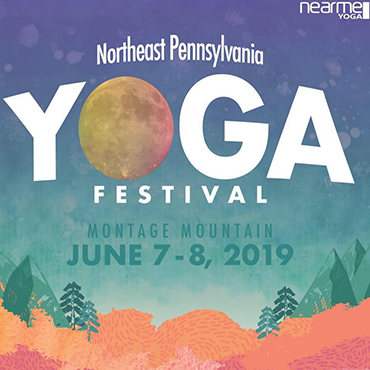 The 6th Annual NEPA Yoga Festival is back at Montage Mountain Waterpark! The festival includes yoga, meditation, music, hiking, wellness talks, inspirational talks, social gatherings, kids yoga and more. Unique local vendors and artists will provide a wide selection of goods as well as multiple healthy food options available for purchase. This year’s event features an optional Happy Hour Yoga kickoff on Friday night, and option to CAMP and participate in a sunrise meditation. Website. This family friendly event features live music, lectures, meditations and children’s activities such as face painting and henna tattoos. 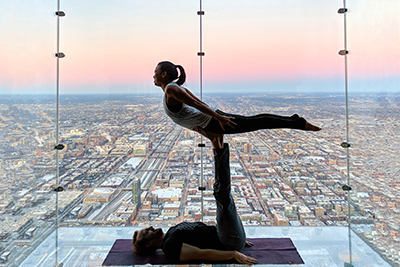 The fourth annual Chicago AcroYoga Fest is a gathering and celebration of the growing Acroyoga community in the Windy City and the greater Midwest. Imagine two days filled with classes for all levels ranging from Introductory Acroyoga to high-level Acrobatics, handstands, therapeutics/massage, and everything in between. Classes are taught by the best instructors from all over the Midwest and the country. Plus there will be plenty of time to share skills, play, and connect with this welcoming community! Website. For the first time, they’ll be offering a day-long intensive on Friday, June 7th! 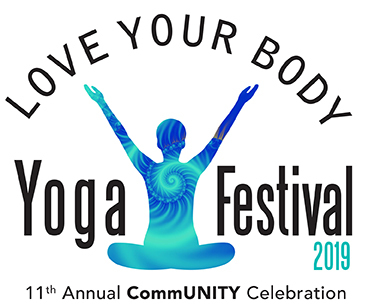 Don’t miss the 11th Annual Love Your Body Yoga Festival, presented by Beloved Yoga. 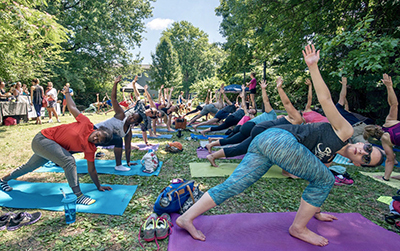 This year’s event will take place from 10 AM – 5 PM, and will celebrate all the area non-profits that utilize Yoga as the tool to transform society. They will be featured on the main stage, and each one will lead a group class. Website. This FREE event is family friendly! 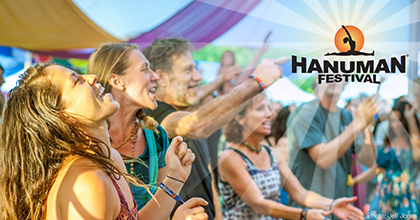 Join Hanuman Festival this summer in Boulder, CO for a yoga & music celebration featuring master teachers, powerful immersions, inspiring music & lifelong community. 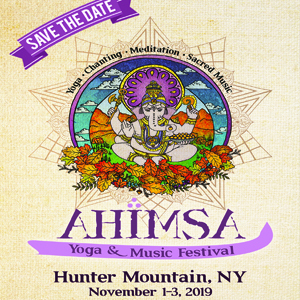 With Yogrishi Vishvketu, Saul David Raye, Sianna Sherman, Amy Ippoliti, Govind Das and Radha, Laura Plumb, Suzanne Sterling, and enjoy music by Wah!, Girish, Katie Wise & Bhakti Explosion, and many more presenters to be announced! Registration is open! Bhakti, Yoga Nidra, 5Rhythms, kundalini, yin, YogaSlackers, meditation, lectures & more! Website. Save 10% on passes with promo code myareayoga2019. 3-day, VIP, Thursday Immersions, and Meal passes available. Sign up today! The Del Ray Business Association presents the sixth annual Well Ray Festival, a celebration of health and wellness! This event will take place rain or shine! Located in the Del Ray neighborhood of Alexandria, VA, browse health and lifestyle inspired tents. Wellness and holistic health practitioners will offer wellness and fitness services, or join in for free fitness classes, including a full yoga schedule. Win prizes and make sure to bring your mat! Website. This event is FREE with chances to win raffle prizes from incredible wellness and fitness businesses. 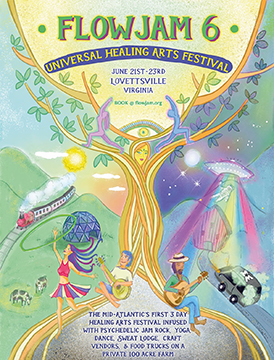 FlowJam is the Mid Atlantic’s first Universal Healing Arts festival located in Loudoun County, VA. 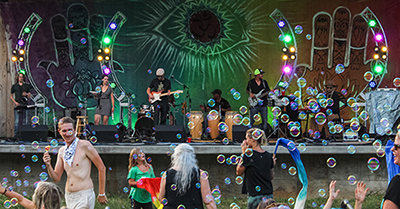 This 3 day experience fuses healing vibes, music, dance and stimulating arts on a private farm at the base of the Blue Ridge Mountains (only an hour outside of Washington, D.C.). FlowJam brings talented local musicians, artists, healers, yoga teachers, educators, and environmental activists together in community, bringing awareness to the importance of the healing arts. Website. Located on 100-acre private farm, featuring local vendors, and weekend camping options that create a magical connection to the Earth and one another. Celebrating their 4th summer of yoga in the woods! This year headliners include; Chelsey Korus, Danni Pomplun, Sensei Derek, Tori Washington & DJ Taz! Plus 40 other experts ranging from yoga teachers, meditation teachers to artists and visionaries! Barefoot & Free is a celebration of our love of yoga, nature, play, learning & unlearning. Website. Enter discount code myareayoga at checkout for 15% off tickets (excludes music & student passes). 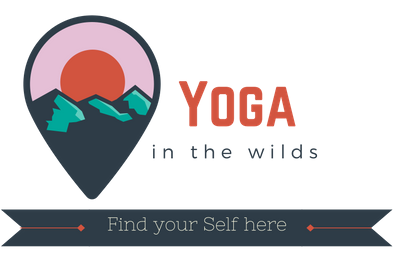 Gather in the PA Wilds for yoga, natural health and healing, meditation and stress reduction, outdoor recreation and happiness creation! It’s free to come and browse The Marketplace, consult with practitioners in The Healers’ Village and chill in the Yoga Lounge. 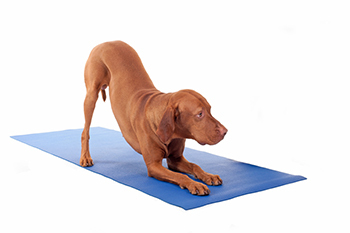 Free yoga demo classes and meditation instruction! Great food and drinks! Things for kids to do, including swim in the pond! Website. Additional workshops and camping are available at a fee. Welcome to the coolest 4 day yoga, music & art festival on the East Coast! The 8th annual Floyd Yoga Jam is a loally homegrown, grassroots, organic, green event held on 400 acres in the Blue Ridge Mountains of Floyd, County VA. Yoga, Dance, Create, Relax, Diverse Music, Kid Friendly, Camping, Hiking, Art Classes, Good Water, Good Food, & some awesome people!!!! 1 Day, 2 Day or all 4 Days, come out and play!! Website. Apply code: MYAREAYOGA10 at checkout to receive a 10% discount on ticket purchase. With a deep love for community and growth, Fields of Yogis has set out to build an event that would be accessible for everyone. The Fields of Yogis family has been to festivals high and low. Yoga festivals, street festivals, music festivals. So they decided to take all of those features and put them together. Their hope for the festival is that they can teach everyone the benefits of yoga, help in the success of the community, and build right along with it. Anyone and everyone can do yoga. It is about soul and practice! Website. Enter the code YOGAFestivalLOVERS and receive 15% off your entire purchase. 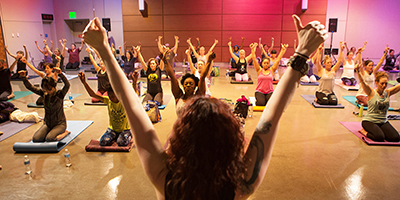 Philadelphia’s premier yoga event is BACK this fall at WHYY in downtown Philly. This full day festival features yoga and wellness workshops and master classes with a selection of top teachers from throughout the region. The yoga marketplace is FREE, open to the public, and includes a carefully curated selection of goods and services. Food trucks on site. Ticket options include full day, half day, and single class pass. Website. Special Pre-Sale event happens April 7 – 20th. Purchase your full-day pass and save $45! Registration. Welcome to an extraordinary experience for lovers of Yoga, seekers and teachers alike. Get away to the peaceful Catskill Mountains to enjoy amazing sacred music, incredible classes and workshops taught by highly sought after teachers and delicious healthful fare. Your day may include a meditation hike on the mountain, ecstatic late night dancing, your favorite style of yoga practice, or learning new techniques for blissful living! Website. Join our mailing list and you'll receive regular updates and special news about yoga and wellness in the Greater Chicago Area.